If you just got yourself a boat, the first few instances of sailing can be daunting. But the more you get out into the water, the quicker you will be able to sail like a pro. 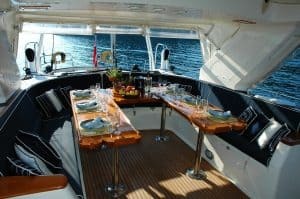 But even as you work your way into the waters and sail with more confidence, there are things you can do to have the demeanor of a pro from the get-go. Nautical jargon can be confusing even to the most experienced sailors. Most of it sounds like it came out of nowhere. ‘Port’ stands for left-hand side and ‘starboard’ stands for the right. While these terms may be seemingly arbitrary, they are the holy grail when out in the open waters. 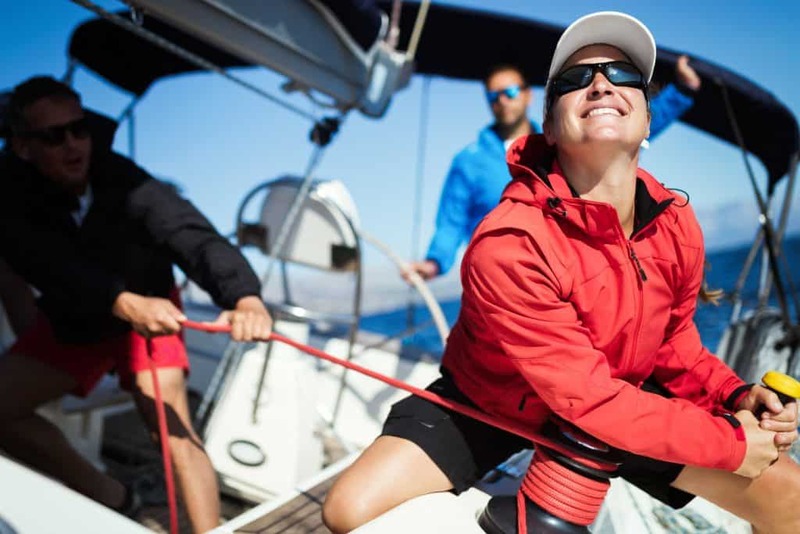 If you want to sail like a pro, you also need to know your sailing terminology well. If you are working with a crew, coordination will become a lot easier if you know your terminology. 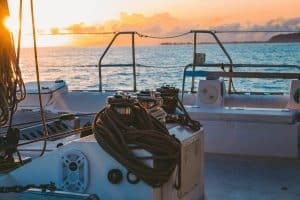 Even if you are not the one steering the boat (if you are, there’s no excuse for not knowing the proper terms), it is helpful to know the right terminology. This way, you will at least be able to receive instructions well and will not mess up in the open seas. If you are out to sail like a pro, surely you don’t just want to sit back and let somebody else do the grunt work. Tying the knots right is of utmost importance when you are sailing. You want your sail to stand upright and in the direction of the wind. If your knots are loose or improper, that is not likely to happen. Similarly, you don’t want to leave crucial parts of the boat behind in the water simply because you didn’t knot the lines correctly. Getting the knots right is the most basic aspect of sailing. If you can tie knots like a pro, half your fundamentals have been taken care of. For obvious reasons, if you are going to be sailing, you cannot afford to make your boat heavier than it can handle. If you want to be a pro sailor, you need to know how to pack for the seas. How long will you be sailing for? Are there provisions to cook onboard? Is there a kitchenette where you can heat pre-made items? You will need to take all of these things into account. It’s best to be prepared in advance when you’re going to be in the open seas overnight. Nobody should take chances when they are already in the water. Other than food, you also need to pack clothes appropriately. The evenings are bound to get chilly so you may want to pack a light cardigan and full pants. Keep some extras, it won’t hurt to take unused socks and thermals back after your sailing trip. But you should not feel the pinch while onboard. You should also do a thorough check of the boat to see all the equipment is in place. Always keep a toolbox on board in case something needs a quick fix. Keep a first aid box on deck too, along with sunscreen, towels and whatever else you may need to be comfortable on board. All said and done, keep a detailed list of the essentials and don’t pack more than necessary. You need the boat to be light and packing heavy suitcases will not help the cause. 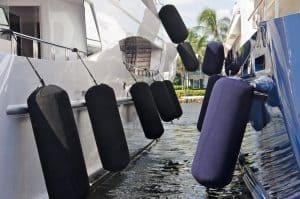 Firstly, you should know that the cushions hanging from your boat to protect it from collisions with other boats or with the dock are called ‘fenders’ and not ‘bumpers’. A pro sailor would never call a fender a bumper (a device on cars that serves the same purpose). Having said that, a pro sailor would know better than to lose a fender overboard. It happens often that a fender may get loose and drift away from the boat while you are at sea. A pro sailor would be mindful not to leave the fenders out once the boat is in the water. Pull them in, even if it means you will have to tie them again when you get to the shore. Besides, the fenders will thrash against the body of your boat because of the force of the waves. To avoid potential damage to your haul, pull the fenders in like any pro sailor would do! Finally, a pro sailor is careful not only while at sea but also when they are anchoring back at the dock or even at sea. You need to be respectful of other sailors around you and offer them space. Don’t anchor your boat right next to somebody else’s, unless you know them and this was a prior arrangement. If the anchorage is open, make use of the space and allow room to your fellow yachties too. It’s the respectful thing to do. Keeping these tips in mind, you can sail like a pro in no time. Of course, you will need to learn the finer intricacies of sailing on your own, which can only be done when you actually get into the water. The more you practice, the better you will get. But it will not hurt to keep the above tips in mind from early into your sailing tenure so you have the ethics of a pro sailor from day one!